Australia’s outlooks are wide and varied, boasting idyllic coastal seasides, vast desert plains, cool lush rainforests and rocky outback ranges. Such contrasting topography, therefore, calls for a range of roofing materials to suit our country’s diverse climatic conditions. Here is a basic guide to Australian roof types. Queenslanders – Popular in the 1840’s, these homes were simple structures made to withstand heat, pests and flooding. Constructed of tin and timber, they featured an elevated structure, wrap-around verandah and a pitched roof. Victorian – In the 1860’s, British-style housing heavily influenced some of the Australian architects of the 19th century, with Victorian homes (named for the period in which Queen Victoria reigned) being the most popular. Early Victorian homes were traditionally made of brick with pitched roofs made from tiles, slate or corrugated iron. Edwardian or Federation – This style of home rose in popularity around the Federation of Australia in 1901 and drew heavily on the period known as Queen Anne (1895 to 1910). These homes are typically identified by their fretwork, red brick exteriors and steeply sloped tiled roofs. California Bungalow – These became popular in the 1920’s as a result of American cultural influences. This style of home was traditionally single-storeyed with a sloping roof, and constructed of brick with signature columns holding up the front verandah. Art Deco – Australia embraced this style between the two World Wars (1918 to 1939). This was a more solid, practical approach to construction, with closed-in balconies, wrought iron gates and chimney and roof designs that featured geometric shapes. Post-war Brick Veneer – These were abundant after 1945 and were among the first houses to include garages. Homes often featured low profile colours with hipped roofs, which are roofs with sharp edges or edges from the ridge to the eaves where the two sides meet. Mid-century Modern – Notable in the 50’s and 60’s, these often featured open-plan living and were characterised by their flat roofs and floor-to-ceiling windows. Modern Homes – First appearing in the early 20th century, these are now the foundation of the contemporary box-like structures that populate our suburbs. Features of a modern home include reinforced concrete frames and flat or skillion (or sloping) roofs. Hip – Depending on the shape of the house, a hipped roof has three, four or more pitched planes, and all planes slope downwards from a ridge at the top of the roof. One of the most popular roof styles in Australia because of their durability, their shady eaves also make them ideal for windy locations. Flat – While these often appear flat, these roofs always include some pitch for water runoff, although they are not really suited to regions with large amounts of rainfall as the slope for runoff is often quite small. These types of roofs are generally easier to construct and safer if you choose to stand on top of them! Skillion – These are flat roofs with a visibly significant pitch, and are normally a single roof not attached to another roof surface. The term ‘skillion’ can also refer to a smaller addition to an existing roof, where keeping the same roof pitch puts the skillion roof lower than the ceiling height of the main house structure. So even though the main roof has a flat ceiling, the skillion component will have a sloping ceiling line that maximises ceiling height. Butterfly – These are found on two skillion roofs where there is a box gutter (a rain gutter on a roof that is rectangular in shape) in the middle. This roof shape resembles a butterfly’s wings and consists of two planes slanting down towards each other (rather than away from each other), which eliminates the need for traditional gutter/downspout systems as rainwater drains into the central trough where it can be drained away or harvested. Green – These are also known as ‘living roofs’ and have a flat or pitched surface planted partially or completely with vegetation. These roofs can absorb and redirect rainwater, create a habitat for wildlife, and help to lower a home’s temperature. 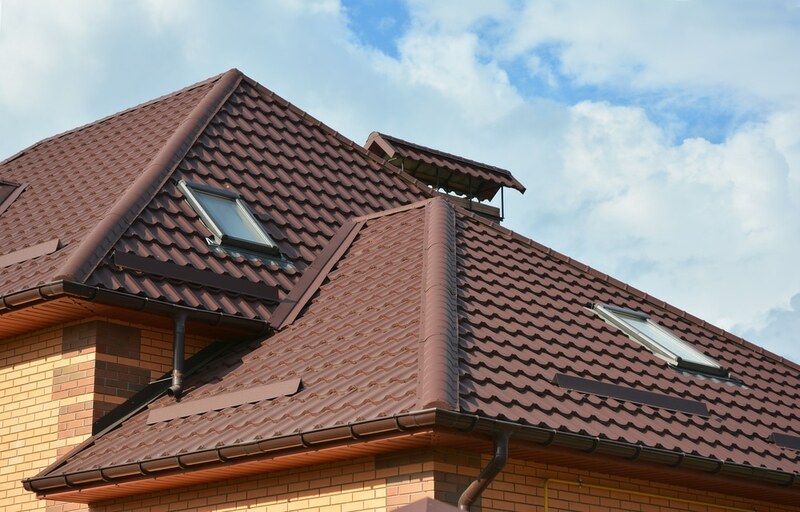 In terms of the different types of Australian roofs, the material from which a roof is constructed is another important factor that defines a roof’s overall visual appearance and character. Terracotta Tile Roofs – These are made from a natural clay product that provides protection from the elements. They are durable, aesthetically beautiful, and available in a variety of different colours and profiles. They can also be energy efficient because their natural density can help to even out temperature fluctuations. However, they can be expensive compared to other types of roofing. Concrete Tile Roofs – These tiles are durable and can play a big part in reducing energy consumption and controlling internal temperatures. However, they are generally more porous than terracotta tiles and can fade quickly due to paints only being applied to the surface. Metal Roofs – The continually advancing technology of metal roofing makes it an extremely popular choice for roofing on Australian homes. Companies like BlueScope offer top quality metal roofing products that are not only aesthetically appealing they are durable, meaning they can withstand some of Australia’s toughest weather conditions. Products like Colorbond® offer thermal efficiency and long-life performance with five layers of corrosion-resistant coating, and Zincalume® steel products are some of the toughest around. 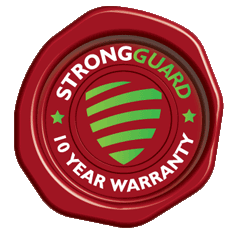 With their patented Activate® technology, warranties are offered for up to 30 years depending on the roofing application. Need a new roof and not sure of the options available? Contact us on (07) 3623 4422 for a quote!